This is a 1984 ad for a Carhartt Fashion! The size of the ad is approximately 8.5x11inches. 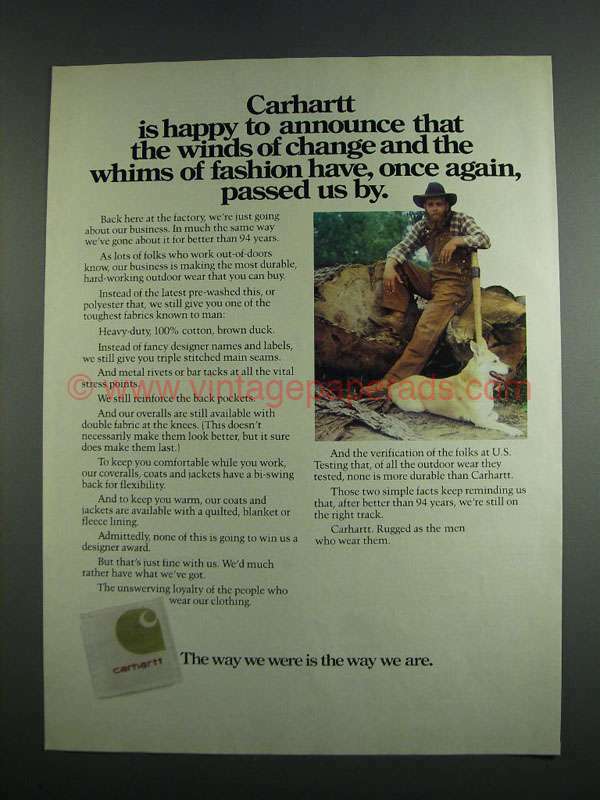 The caption for this ad is 'Carhartt is happy to announce that the winds of change and the whims of fashion have, once again, passed us by' The ad is in great condition. This vintage ad would look great framed and displayed! Add it to your collection today!